Another bear, or possibly the same bear that was spotted in Robinson Canyon a couple of weeks ago (the size appears to be similar), turned up in Pacific Grove today. The cops chased it into Monterey,* where it was eventually tranquilized and “removed.” No word on where it’s been renditioned to, but hopefully it has been released back into the Ventana Wilderness from which it doubtless came. 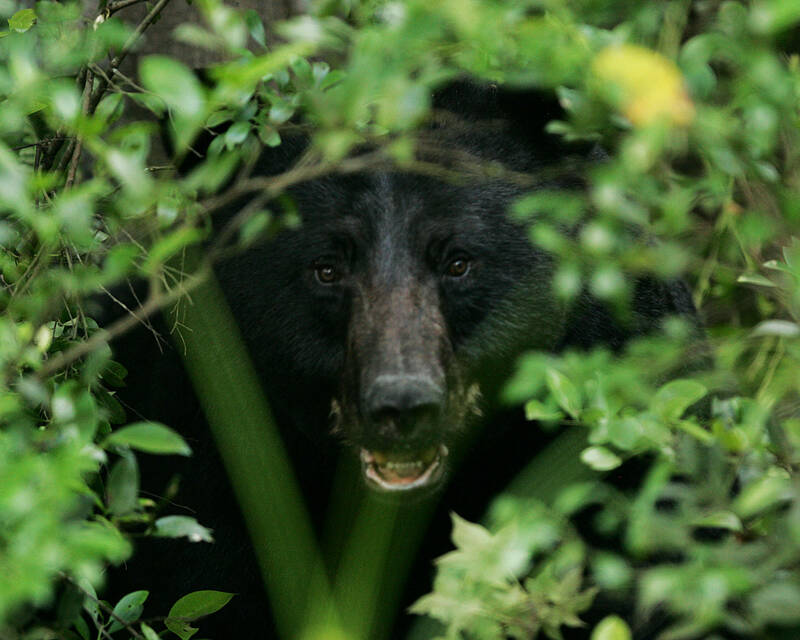 Bears tend to wander beyond the limits of their usual territories at this time of year in search of mates and the vast majority of bear sightings on the Monterey Peninsula and in the Salinas Valley happen in May and June. See this post for more details. See the Cedar Street Times Facebook page for a pic of today’s bear. Update: The Monterey County Weekly has published additional details, including the bear being sighted at Pt. Lobos on Thursday and Friday and the fact that it was released into the Los Padres National Forest. * Local police sources inform us that the Monterey and Pacific Grove police have a long history of passing off animal problems on one another. A favorite in days gone by was to pick up road kill cats and drop them off in the neighboring city. No telling how many times some “flat cats,” as the police called them, were traded back and forth. Driving a live bear across city lines, on the other hand, ups the ante considerably. This entry was posted on Sunday, June 14th, 2015 at 7:44 pm and is filed under Santa Lucias. You can follow any responses to this entry through the RSS 2.0 feed. You can leave a response, or trackback from your own site. I’m wondering if the extended drought also has anything to do with the bears coming down this far into populated areas – in search of easier food? The Ventana Wilderness probably has a lot fewer bears than it is capable of sustaining, so I’m doubtful that food is the motivating factor – unless, of course, unsecured garbage is getting bears accustomed to foraging in dumpsters (see Adam’s comment on the last bear related post). I just learned today from a State Park employee (Sam) that a bear has been sighted, I believe twice, at Molera State Park. I would think this might be the re-located Pacific Grove bear…? I’m thrilled. I hope it finds a good home hereabouts, and that those in Big Sur keep their garbage safely stowed.